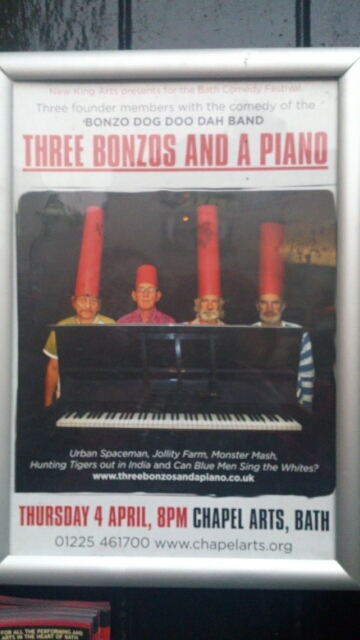 Today's entry comes late because I spent the night in Bath enjoying the absurdity of the Bonzo Dog Doo Dah Band. I will talk more about them in a proper entry tomorrow! That sounds like an intersting event..